Flights at South Korean airports are being cancelled due to Typhoon Kong-rey, the country's land ministry said Saturday, Yonhap reported. The Ministry of Land, Infrastructure and Transport said a total of 276 flights, including 123 from Jeju International Airport, were cancelled as of Saturday morning. 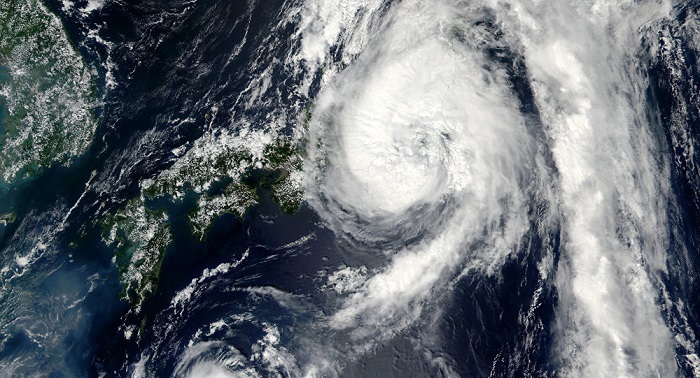 International flights to China and Japan are being delayed due to the typhoon. The ministry said the airport on the southern resort island of Jeju is expected to resume its operation later in the day once the typhoon moves further north. The Korea Meteorological Administration issued a typhoon watch for most southern regions in South Korea. A heavy rain watch was issued in the capital city of Seoul. Typhoon Kong-rey is expected to pass through southeastern South Gyeongsang Province around 10:00 a.m. to the East Sea around 1:00 p.m., the agency said.